I have been so good about posting every week, so when I first got to the famous (or infamous, which ever you prefer) Herräng Dance Camp, I was afraid I was going to have to sheepishly beg forgiveness while I abandoned this blog for volunteering, dance and parties. But lo and behold, I am attempting to stave off the patented Herräng flu! And so I am forgoing one night of dance to get some well-needed rest, but not before at least starting my Week 8 entry. There is not much to report on happenings. I am exhausted and sore, but not from dancing as you might think. In fact, I have barely had over ten dances total since arriving in Herräng. Why? Because I am volunteering full time which means they have me running around for a minimum of ten hours a day. Mostly I work in the Ice Cream Parlor (known colloquially as the ICP), doing pretty much my old job at the Canopy Road Cafe, except with more ice cream. I have ended pretty much every day, covered in melted ice cream, though not in the fun way. It’s good work, and I have free accommodation during this week, plus I’m receiving my next week of classes (Lindy Hop Advanced) free in return for my work. But I can barely keep my eyes open past eleven in the evening and then waking up the next morning at seven thirty… well, I’m not complaining, though I’m pretty sure that’s how this is coming across. I’m actually enjoying the work very much, plus I get to meet the whole of the camp as it seems everyone (even the organizers!) come in for ice cream or a smoothie or sandwich or something. And all the other volunteers are fantastic. I can’t wait to spend more time with them! I’m afraid I don’t have any photos, as my camera is not a priority when I’m busy scooping mint chocolate ice cream into cones. 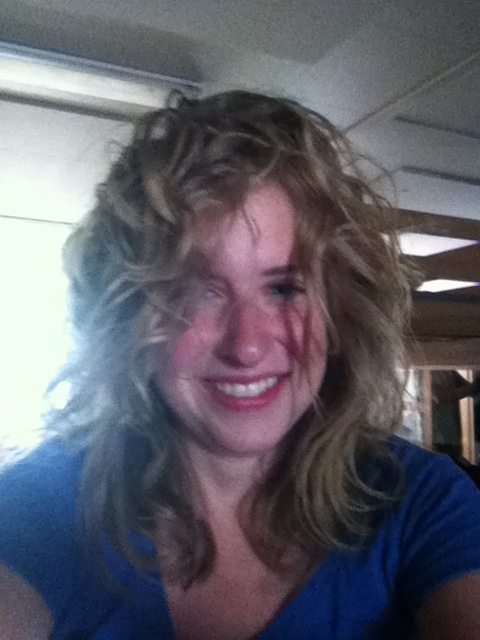 Although I do have this one of my spectacular bedhead. My hair has a life of it’s own! Again, I hope the space between class times will allow me to take more pictures and have more stories.